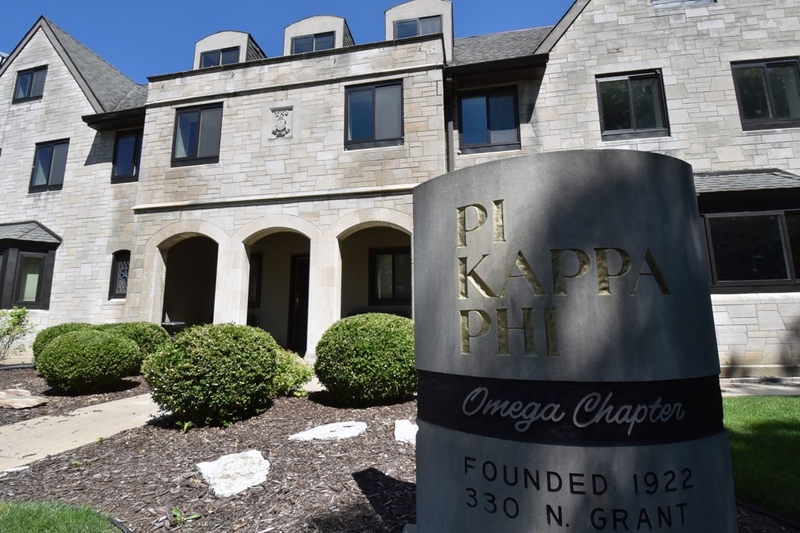 Pi Kappa Phi is among the Purdue leaders in each of the statistical categories from the spring 2018 semester. 107 members were at a 3.0 or higher in the spring semester, or 68.2 percent. 59 members earned dean’s list and/or semester honors, 37.6 percent. 17 members had a 4.0 GPA, 10.8 percent. And during the summer, nine members were on the Journey of Hope cross-country cycling trip raising funds for the Ability Experience and awareness for people with disabilities. 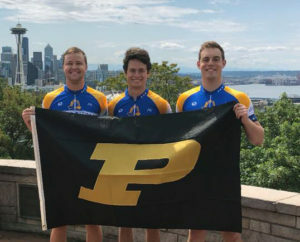 Sam Ragsdale, Jonathon Gianakos and Drew Sickman pose with a Purdue flag in Seattle prior to leaving on the 2018 Journey of Hope. The three are among nine members evenly divided among the three routes – North, Trans and South.